Edinburgh is one of oldest trusts on the market as well as one of the largest investment trusts with assets approaching £1.5bn. It is almost 2 years since Mark Barnett took over the reins from Neil Woodford. This trust is one of the top UK Income Trust in terms of net asset value and share price performance over five and ten years, its returns far outstripping those of the FTSE All-Share index. A sum of £1,000 invested 10 yrs ago would now be worth £2,886 compared to a total return of £1,723 from the benchmark FTSE All Share index. growth in dividends per share by more than the rate of UK inflation. Although this is a UK income trust, the manager is permitted to invest up to 20% of the portfolio in overseas listed holdings. Around 15% is currently allocated including Swiss pharma, Roche and US tobacco firms Reynolds and Altria. 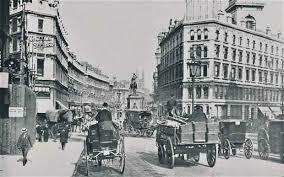 The rest of the portfolio is comprised 50% FTSE 100, 28% FTSE 250 and a smaller allocation towards UK small caps. Edinburgh has been one of the cornerstones of my income portfolio for several years and is held in both Sipp drawdown and ISA. 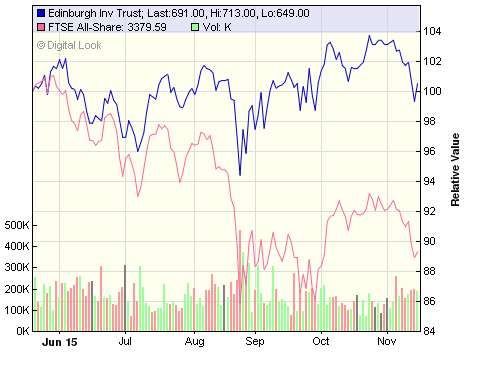 Earlier in the week it published results for the half year to 30th Sept 2015 (link via investegate). The Company's share price, including reinvested dividends, rose by 6.6% during the past 6m, compared to a fall of -7.2% (total return) for the benchmark FTSE All-Share Index. This 13.8% out performance over just 6 months is quite an achievement. This is largely the result of being underweight in miners and banks and correspondingly overweight in tobacco, pharma, real estate and non-life insurers. Tobacco stocks - Reynolds, Imperial, BAT and Altria - take up 4 of the top 10 holdings and together account for 19.0% of the portfolio. Maybe not one for the more ethically minded investor! During the period, the entire holding in GlaxoSmithKline was sold, Rolls Royce was reduced and low cost airline easyJet joined the portfolio. The yield is 3.4% based on the current share price of ~700p. This year I have embraced passive index funds as I believe they are more likely to generate a better return than most actively managed funds over time. That said, I fully accept there will always be some managed investments that can genuinely add value and Edinburgh appears to be one of them. There can be little doubt that index investing works; active investing can work as evidenced by the 10 yr performance and therefore a combination of the two can work. Therefore, lets not throw the baby out with the bath water... it's not either/or but take on board index funds and keep the best of the actively managed funds/trusts. More on this following the full year results next May, but so far, happy with progress made under the stewardship of the new manager. 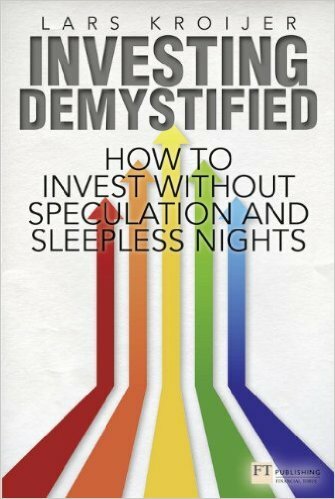 Sub titled ‘How to Invest without Speculation and Sleepless Nights’ by Lars Kroijer. It’s been a wet n windy weekend here ‘up north’ which has provided an opportunity to catch up with some reading. This book has been on my list for a while and I recently managed to get hold of a copy from my local library. The central theme of this book is to persuade the reader - the rational investor - that they are more than likely someone who does not possess an edge or advantage that will help them to outperform the financial markets. Lars argues that unless we know something that nobody else knows we do not have an advantage over the market. The lack of such an advantage however does not mean people should avoid investing as this would mean missing out on potentially exciting long term returns from the equity markets. Embracing and understanding this absence of an edge is the key to building the rational portfolio. At its most basic, the rational portfolio consists of some low risk investments comprising highly rated government bonds such as those from UK, USA and Germany combined with global equities. For those who want a little more risk and complexity there is the option of adding some other global bonds and corporate bonds. These should be held via low cost index funds or ETFs in a tax efficient way. The precise mix will be determined by the individuals appetite for risk, time horizon etc. The author provides a risk range A to F where A represents very low risk gilts and F represents high risk global equities. Medium risk would be a mix - for example C (lower medium risk) - 33% low risk gilts, 50% equities, 7% other govt. bonds and 10% corp. bonds ; or D (higher medium risk) - 75% equities, 10% other govt. bonds and 15% corp. bonds. Make adjustments to the mix over time or as the world around changes. Take account of other assets you have such as house, business, inheritance etc. Think about these broader assets and how they may fit with your investment strategy. If investments for example represent only 10% of assets and the 90% is highly correlated and dependent upon the same factors, then diversification of just the investment portfolio could lead to a false sense of security. The suggested allocation of global equities combined with bonds obviously leaves out other popular asset classes such as property, commodities and private equity. 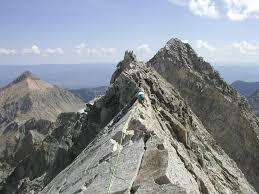 The basic advice is to avoid such areas unless you have some sort of advantage or edge. Some can be expensive for fees, others can be very illiquid, you may already have some exposure via your equities or corporate bonds. The author is a former hedge fund manager (or should that be edge fund!) and states quite categorically that venture capital and hedge funds do not belong in the rational portfolio. Personally I have never held a hedge fund as I do not understand how they operate and also they are relatively expensive. I am quite happy to accept the authors recommendation in this area. As for leaving out some exposure to commercial property…I’m not so convinced. The final third of the book looks at very practical concerns for the average private investor - building a long term plan which takes account of goals, risk profile, other assets etc. It covers various stages of life - early starters, mid life savers and retirement and how to look at matching risk and asset allocation through the various stages. To sum up - abandon thinking you can beat the market, evaluate your time horizon and attitude to market risk then purchase a global index tracker and a UK gilts fund, invest tax efficiently via ISA or SIPP, rebalance periodically - simples! In a nutshell, that’s just about it - simple, cheap and easy to implement. Personally, I would have liked the book to be a little more concise. The basics in the book could probably be conveyed on a couple of sides of A4 but, as usual, these type of books seem to go on a little (this one covering a total of 228 pages). I guess the authors/publishers think the readers will expect a certain length of book to justify the price..... which is probably true. To be fair, there are potted summaries at the end of most chapters. I have been nudged along the path towards index investing over the past year or so and several articles by the author on the Monevator blog has been influential in this. The fact that many of the central themes of the book have been covered before may be the reason I felt a tad disappointed when I came to read the actual book. However, for those who may not have read these articles previously, the book is well worth getting hold of and it certainly confirms many of the basic points suggested by Tim Hale in ‘Smarter Investing’(recent review). I understand the author has recently started work on a second edition of the book. For those that have read the first edition and want to provide feedback they can email - lars@kroijer.com if you are OK with the publisher sending a short survey. As ever, all comments you may have on the book are welcome. As the year unfolds, I feel like I have made a little progress with my change of investing emphasis. Looking back almost 3 yrs to early 2013 when I started this blog, it is clear there has been quite a significant move. Back then I was focussed on a portfolio of individual higher yielding UK shares combined with a ‘basket’ of investment trusts to generate the natural income I required in retirement. Today, the individual shares are much reduced, some of the investment trusts have been sold in both ISA and SIPP drawdown and they are replaced by Vanguard index funds and ETFs. Some of the proceeds from my UK shares were recycled into Vanguards UK Equity Income fund - same church but different pew(s) with much more diversity. My Asia focussed investment trusts were replaced with a lower cost - around 1.0% per year reduction - Vanguard Developed Asia ETF. The balance of the proceeds have been redirected into Vanguard LifeStrategy 60 fund - 60% globally diverse equities and 40% bonds. Why the Move to Index Funds? This is not a sudden ‘light bulb’ conversion - I purchased my first Legal & General All Share index fund back in 1996 - almost 20 years ago. I seem to recall the charges were 0.50% p.a. which at that time was attractive because most of the funds I read about in my weekly Investors Chronicle were charging an average of 1.75%. Of course, charges have become much more competitive and 0.50% today would be regarded as expensive - 0.10% to 0.20% would be nearer the average. I held that index fund in my PEP for many years - it was eventually transferred to my AJ Bell ISA. My focus over the past 7 or 8 years - certainly since the dramatic events of 2008, has involved funding my decision to take early retirement from age 55 yrs. Therefore the plan has been to generate income from my investments so that I have the option not to need to pursue further paid employment. I seem to always have had an ability to live within my means so, whilst my lifestyle remains modest - some would say frugal - this has been possible so far. However, since starting my blog, I have been educating myself via other blogs as well as the many contributions to the comments section. I realised at some point that I was severely limiting my investing options by restricting my chosen investments to those that provided an adequate natural yield - say 3% minimum. This had ruled out looking at the likes of Vanguard LifeStrategy funds with a natural yield of under 1.5% for example. I am now free to consider far more options. I have always tried to focus on low costs and, of course, there is no lower cost strategy than index funds. I have read much more on the theory underpinning index investing whilst researching material for my latest book ‘DIY Simple Investing’. This, combined with many articles on Monevator blog - especially those by Lars Kroijer has brought me full circle. The final piece in the jigsaw was to open up the options of selling down capital i.e. 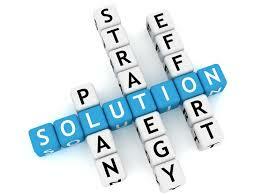 develop a strategy to sell capital from funds which do not provide a sufficiently high income. This is one aspect that I have probably not paid sufficient attention to in the past. Since reading Tim Hale’s ‘Smarter Investing’ it has brought home to me that I really need to bring more discipline to my process and try to eliminate some of those irrational decisions which are detrimental to better returns. In the past, certainly overconfidence would have been part of the problem. A part of me playing the fund manager thinking I was better than others. I probably have done OK but no better than average most of the time. Certainly another bad habit is constantly reviewing my portfolio and following the market - not good! Now in my early 60s, I am hoping for another 20 years if I am lucky. I will receive my state pension at age 65 yrs which will certainly cover the basics of food and household bills so there will be a little less pressure on my investments. My equity exposure in recent times has been around 60%. Tim Hale suggests 4% in equities for every year you are looking to invest. By this measure, I could possibly increase my equity allocation to 80% however more equities would mean greater volatility so I am happy to remain at 60% and gradually reduce this over the coming years. Where I am up to now? Well, the first thing to say is I accept there are no perfect strategies - what works for one investor possibly will not work out for another. That said, obviously some strategies have more chance of a good outcome compared to others. I am hoping equities will continue to provide a better return than bonds so I will continue to tilt in their favour for a while longer. Individual shares have been interesting but they are volatile and I have not noticed any greater return to my portfolio for the additional risk so I will wind down the rest of my shares portfolio in the coming months and move the proceeds into collectives. 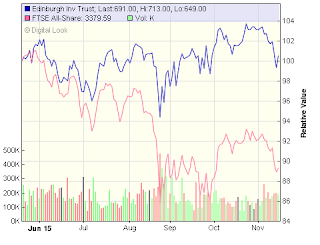 My managed investment trusts have provided mixed returns in recent years. Some have done very well - Nick Train’s Finsbury Income, smaller company specialist Aberforth, Bankers, City of London - others have struggled - Murray Income, Murray Intl. and Dunedin Income for example. Will the ones that have disappointed recover - will the ones that have done well stumble? 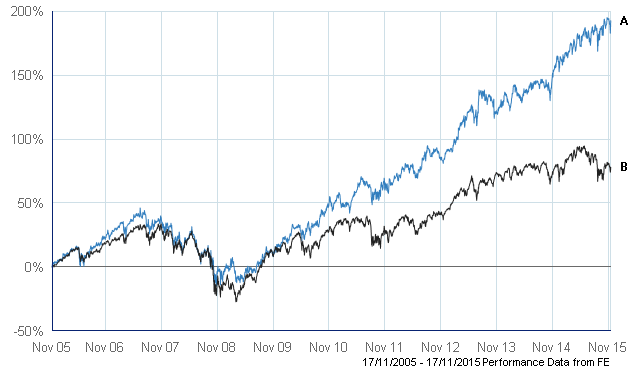 All the evidence suggests that most actively managed funds do not consistently beat the market over time - but some do! I now accept that (mostly) markets are efficient. I also accept that investing is a zero sum game - for every winner there is a loser. I know I can never achieve a perfect portfolio - for the time being, the emphasis will involve the continued movement towards a more simple strategy - globally diverse, low costs and an appropriate balance between equities/bonds. I am continuing to believe in the concept of ‘good enough’. 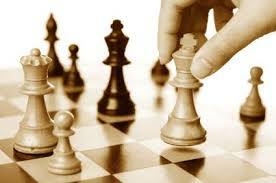 Feel free to share any thoughts with others in the comments section below - how is your strategy evolving?